Approximately 18,000 years ago the Earth began a gradual process of warming up after more than 100,000 years of Ice Ages. Much of North America, Europe, and Asia lay buried beneath great sheets of glacial ice. By about 15,000 years ago the Earth had warmed sufficiently to halt the advance of glaciers, and sea levels worldwide began to rise. By 8,000 years ago the land bridge across the Bering Strait was drowned, cutting off the migration of men and animals to North America. Since the end of the Ice Age, Earth’s temperature has risen approximately 16 degrees F and sea levels have risen a total of 300 feet! Forests have returned where once there was only ice. Learn the truth about “climate change” and the “greenhouse effect” by clicking here. 1.Carbon dioxide (CO2) is a colorless gas that appears as a trace (less than 0.04%)component of air. 2. CO2 is essential for plant growth and is essential for life on earth. 3. It is produced mainly by nature but also as a result of the combustion of compounds that contain carbon, such as coal, petroleum and natural gas. 4. CO2 is classified as a “greenhouse gas”. All components of the atmosphere are greenhouse gases, and without them the earth would be a frozen ball of ice. 5. The greenhouse affect of CO2 is insignificant when compared to that of water vapor in the atmosphere. The Global Warming people disregard water vapor when talking about greenhouse gases. 6. CO2 is sometimes sited as the cause of “Acid Rain” but CO2 when combined with water produces a very mild acid. 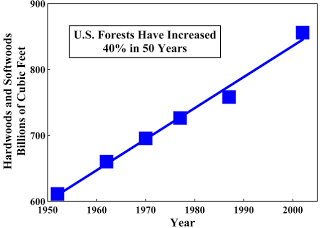 Acid rain has been mostly eliminated by the removal of sulfur and nitrogen oxides from combustion gases. 7. CO2 has sometimes been blamed for the death of some coral reefs. Coral is an animal which depends on CO2 for the growth of its calcium carbonate skeleton. Coral, like all animals eventually die and do live forever. 8. 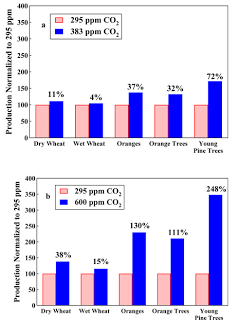 It is amazing that plant life can live with the present trace amount of CO2 in air. Experiments have shown that a higher concentration will cause faster plant growth. 9. The concentration of CO2 in the atmosphere has increased only about 0.01% during the past 200 years. That still is only a trace amount. 10. Carbon dioxide is not a pollutant or poison because it is about 4% in the breath that man exhales. Thank you Scepticus! That is an awesome picture!